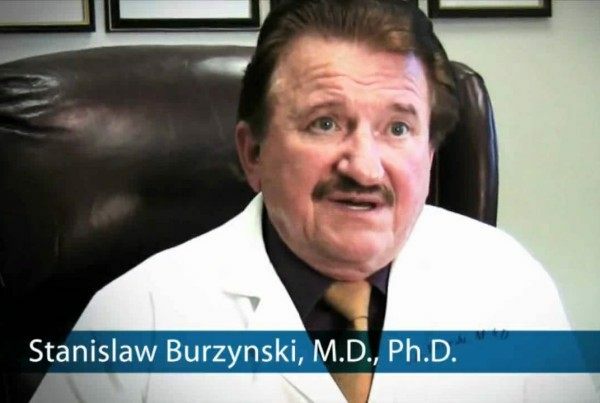 Dr. Burzynski on Trial Again - Will His Life-saving Cancer Treatments Ever be Available to the Public? Dr. Burzynski should be given the Noble Prize for Medicine. I think I need to write them a letter. What's upsetting to me is that patients initiated the current hearings, and how so many people who think that Burzynski has something are calling for the TMB to IGNORE cancer patients' complaints. Patients don't have much recourse if there is no official body upholding standards. You must realize that PATIENTS initiated the charges that Burzynski is facing. Most of the main patients in the case are dead. I believe only one is still alive (or at least well enough to testify). By protesting these proceedings, supporters of Burzynski are actually stepping on the one recourse that these patients have. It's not Burzynski v. the Medical Board, it's Burzynski vs his own patients.